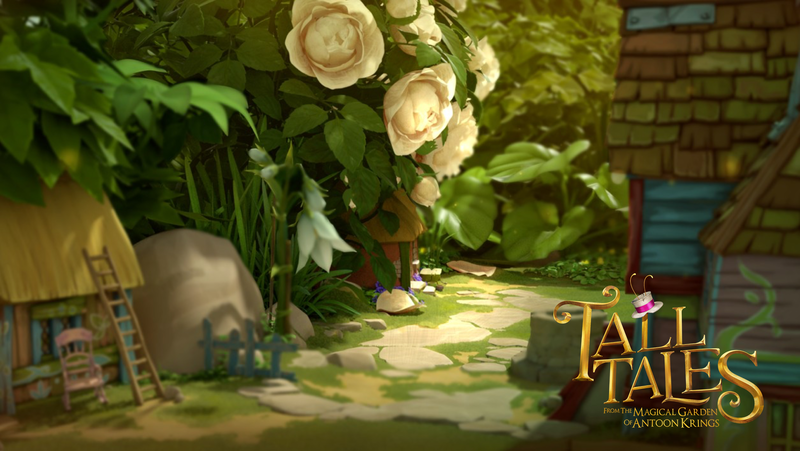 We’re very happy to share the first images of the highly anticipated movie, Tall Tales – From the Magical Garden of Antoon Krings, from the producers of The Little Prince and Playmobil Super 4. The CG-animated feature is one of the most ambitious projects of its kind to originate from Europe in the past decade. It is based on Antoon Krings’ publishing masterpiece, which has sold over 20 million copies! The film will be released in December 2017 in France with Universal, and has already been sold in more than 20 markets. It follows the story of Apollo the Cricket — vagabond, singer, and hero — who arrives one day in the most magical garden of all. Hoping to start a new life, he finds true love with Marguerite, the Queen of the Hive, but ends up falling into a trap… Will our hero overcome? Will he find his true place in the world? We’ll be showcasing the film at Cannes Film Festival this year. If you would like to book a time to discuss the film, please directly book a time here. We hope you enjoy the first images as much as we did! We’ll be showing never-before-seen footage at Cannes Film Festival. Again, if you’d like to see more at the festival, please book a time here.